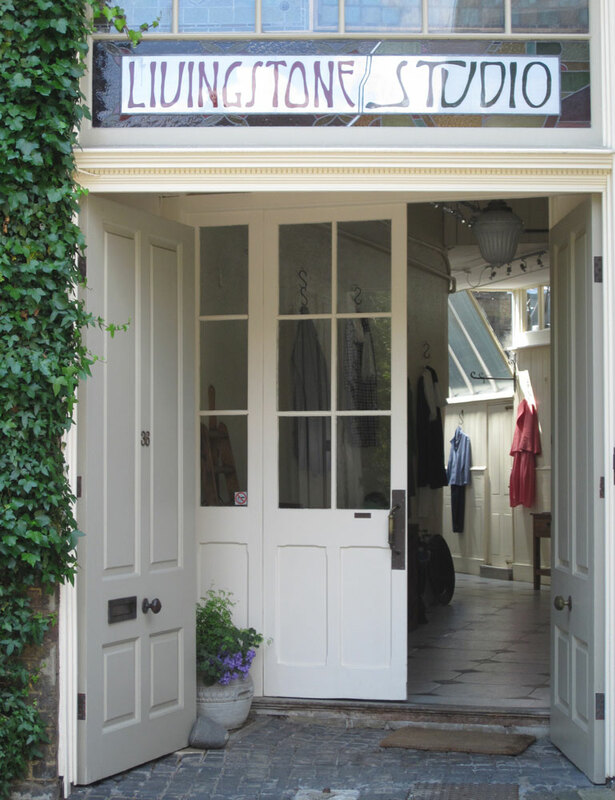 Livingstone Studio is a long-established textile design studio, with an adjoining gallery, situated in a converted early 18th century coach house in the heart of historic Hampstead Village. The gallery aims to exhibit textiles of exceptional beauty, with an emphasis on fine contemporary craftsmanship, and to provide an excellent personal service tailored to each customer's unique requirements. Livingstone Studio endeavours to show work which expresses contemporary ideas in imaginative and challenging ways, combining new technology with the time - honoured techniques of handcraftsmanship. In addition to showing collections from a number of designers worldwide, the gallery has changing exhibitions focused on either a designer or group of designers or of ethnographic or antique interest, for example old hand-woven kelims from Persia or vintage Welsh quilts. Alongside the clothing and accessories are textiles for interiors as well as a carefully chosen selection of handcrafted furniture and pottery. Perennial design favourites include the renowned Raag Studios in Ahmedabad, India, Aenne Cordsen, a German designer whose superbly crafted clothing is exclusive to Livingstone Studio, as is the soft tailoring of London-based designer, Ian Batten, the iconic Daniela Gregis from Italy with her unique style and Jurgen Lehl whose work shares a Japanese sensibility in its exquisite quality, subtlety and harmony. The studio also works closely with a new generation of designers, like Oma Jang from South Korea and Tomoko Yamanaka, supporting their work and encouraging the tradition of creativity and innovation.